TRENTON- Even as the city of Trenton is not solely a community riddled with violence and destruction, that violence must be talked about at some point or another or else we may risk ignoring the pink elephant in the room. Indeed, given the amount of senseless violence here in the city, I thought it would be fitting to discuss, in my humble opinion, one of the most powerful creative forces or outlets known to mankind. Drum roll please, what I'm referring to ladies and gentlemen is ART. Art is defined by Oxford Dictionaries as "the expression or application of human creative skill and imagination, typically in a visual form such as painting or sculpture, producing works to be appreciated primarily for their beauty or emotional power". Given the definition above, one can sense that art can take on both transformative and cathartic dimensions. Even though my educational background and specialization is in industrial and organizational psychology, I undoubtedly recognize the positive psychological effects that art can have on a community beleaguered by senseless violence and other societal ills (poverty, failing school systems, and high unemployment). Indeed, evidence shows that artistic engagement can lead to improved moods, emotions, and psychological states (see Stuckey and Nobel, 2010 for more info). Moreover, it has been said that art can possibly curb stress levels and depression. 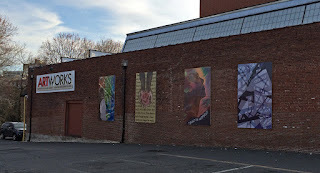 Even as there are many passionate supporters of the arts, there are still those that view it as vandalism when it is used in public spaces for murals and graffiti art. Despite what the critics have to say, I am grateful that there is rich art right here within the city. 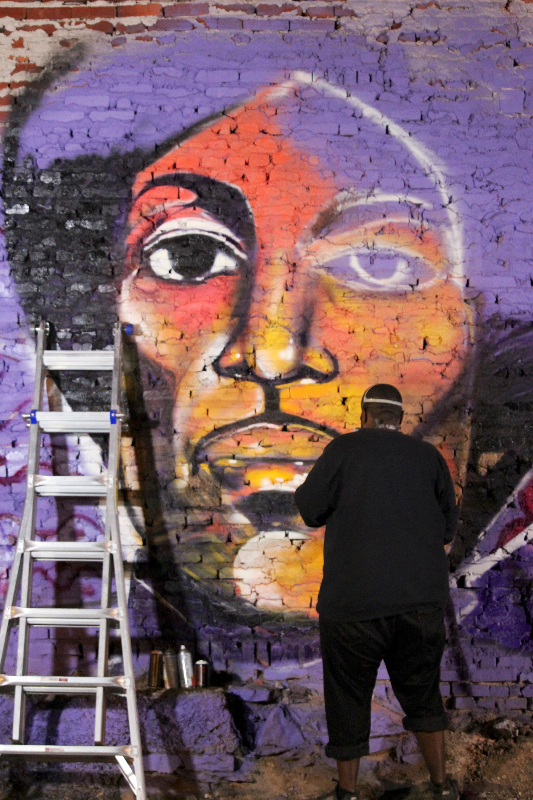 Every year Trenton holds its well-known outdoor art gallery event, Art All Night. The city also holds various workshops and classes on art at the Art Works building located downtown. We also have the Trenton museum, Mill Hill Playhouse Theater, and numerous murals throughout the city. Even recently, a new art exhibit entitled Trenton Art Puzzle, emerged that showcased artwork from over 200 individuals at the city's BSB Gallery. It is art that acts as a form of inspiration and ultimately a constructive way to communicate about life around us. Lauren Della Monica echoed this point when she said that artists have traditionally used their work "...as tools for documenting social, political, and economic conditions". All one needs to do is take a stroll through the city and one can see all the beauty, creativity and imagination that exists here. For without art, there is no way to imagine an alternative universe or way of being. Art does not accept the status quo. Oh to the contrary, it resists or challenges it. Where others only see problems, artists or creative types see opportunities. Opportunities to improve and enhance the community. Artists or creative types see the opportunity to rise to the occasion, shake things up, and ultimately make a difference when everything else around them appears to be coming apart at the seams. In sum, artists do not curse the darkness. Rather, these individuals have the courage to light a candle, no matter how dark things get. So, I encourage you, dear reader to flex your artistic or creative muscles, think outside the box, and be a part of the solution. Don't accept the status quo. Let us use our creative powers to leave the world a little better than we left it. Whether its volunteering at your local community center, giving art lessons, or creating a space where people can come to enrich or enhance their lives, all of these things can make a difference. For more on the artistic resources that the city has to offer, click here. TRENTON-- As the city of Trenton ushers in a new mayoral election, more and more candidates are entering the race. 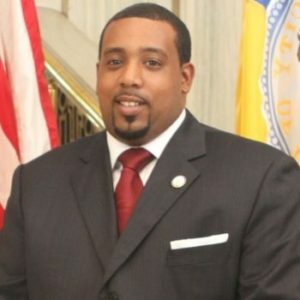 On Saturday morning, Councilman Duncan Harrison, announced his candidacy for mayor of the Garden State's capitol city, at the city's Free Public Library Trentoniana Room. The race to the mayor's office is gearing up to be a crowded space much like previous mayoral elections. In 2014, there were 6 mayoral candidates on the ballot. Currently, there are 10 individuals that have announced their candidacy. 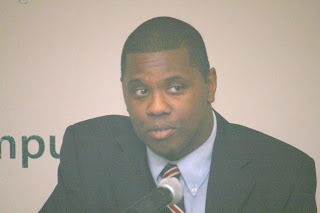 Those candidates include Assemblyman Reed Gusciora, Paul Perez, a 2014 runoff loser to the current mayor (Eric Jackson), Councilman Alex Bethea, community activist Darren “Freedom” Green, Mercer County Deputy Clerk Walker Worthy, Elissa Horan, Michael Silvestri, Annette Lartigue and Jason Arnold. Harrison, 32, has been on city council for the past 4 years and has been vocal on gun crime, litter, and the water crisis in Trenton. In his announcement speech, Harrison laid out his vision for Trenton and noted that he wants to see a revolution and renaissance in the city where there is an efficient, effective, and compassionate government that is business oriented.